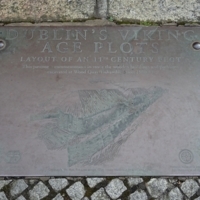 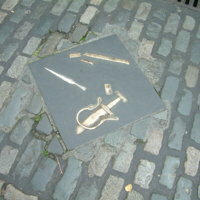 Plaques on the streets of Dublin showing the types of Viking Age finds found in the areas around them. 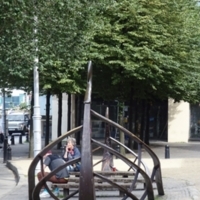 Metal sculpture 'Baite Viking Ship' evoking a beached Viking vessel, by artist Betty Newman-Maguire. 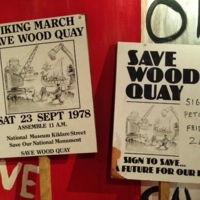 Located near to the controversial Dublin City Council Civic Offices development on Wood Quay. 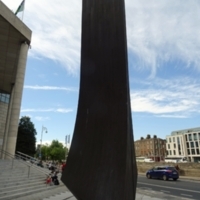 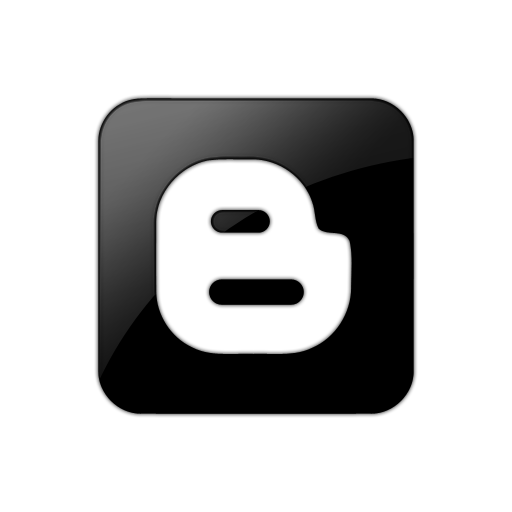 Dublin Millennium Commission, 1988. 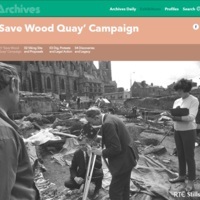 An online exhibition from RTÉ Archives using archive footage to tell the story of the Wood Quay excavations and the public protests in the 1970s and 80s. 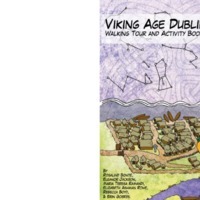 A walking tour and activity book produced by PhD students working in the Dublin Team of the Languages, Myths and Finds Project.